The mission of Esperanza Immigration Legal Services (EILS) is to provide community education, advocacy, and direct legal services to immigrants and their families so that they may fully participate in and benefit from American society. To that end, EILS assists with naturalization applications, family petitions, DACA assistance, and visa applications for victims of crime and domestic violence. EILS partners with community organizations like Ceiba and VietLead to provide legal services to people from many different communities around Philadelphia. EILS is a department of Esperanza, a comprehensive community economic development organization that also operates charter schools, higher education, real estate and business development, job training and placement, housing counseling, arts and culture, and many other programs. EILS is an integral part of Esperanza’s overall mission to strengthen the low-income Hispanic community of Philadelphia. EILS has been a member of PICC since 2009, and has benefitted immensely from its membership in the Coalition. As a PICC member, EILS has strengthened bonds and partnerships with various sister organizations around Philadelphia and Pennsylvania, and has access to resources which enrich our ability to serve our clients. In the last weeks, DACA has once again been in the news. On Tuesday, April 24th a federal judge in Washington, DC ruled that the administration's cancelling of the DACA program was unjustified. The judge has provided the Department of Homeland Security (DHS) with 90 days to more fully explain their reasoning behind the cancellation of the DACA program. In his decision, the judge stated the administration's decision to end DACA was “arbitrary and capricious because the department failed adequately to explain its conclusion that the program was unlawful.” If DHS fails to clearly justify their actions as decided by the federal judge, it must begin accepting both new and renewal DACA applications. Next steps are up to DHS, as they have 90 days to issue a new memo that satisfies the federal judge. In the meantime, nothing has changed. Based on an earlier ruling from a California federal judge, anyone with DACA can apply for a renewals, but new applications will not yet be accepted. It is always a good idea to talk to a trusted legal advisor before submitting any kind of immigration application. In other news, Texas and six other states filed a lawsuit against the federal government to bring an end to the DACA program. The lawsuit was filed just yesterday and includes Alabama, Akrsansas, Louisiana, Nebraska, South Carolina, and West Virginia. This suit is similar to one Texas brought several years ago challenging Deferred Action for Parents of Americans. At the heart of the lawsuit is the claim that the Obama administration overstepped its authority in issuing the DACA memo, and demands the courts end the program. Have you registered for the 2018 Statewide Immigrant and Refugee Rights Convening? In the face of an extreme anti-immigrant agenda at the federal and state levels, it is more important than ever to build alliances among immigrant and refugee communities and allies. Through local coalitions and partnerships we can build the power to defend our communities and fight for the policies we need. This Convening will bring together members of the immigrant and refugee communities, grassroots organizations, advocates, and allies from across the state, and will include workshops, networking sessions, and opportunities to meet with legislators to educate them on issues important to immigrant and refugee communities. Register Today! The registration deadline is May 14, 2018. We are still confirming speakers and workshops. You can get up-to-date information on the 2018 Convening webpage. Register today to join in celebrating Lorena and Jeimy, and the many leaders across PA fighting for a more just world! As part of PICC's Youth Organizing Project, we supported 2 youth leaders to attend the School of Unity and Liberation Youth Organizing training in New York. The two participants, Hortencia and Fatima, were able to learn about youth organizing, movement and capacity building, sustaining organizers, and cultivating the vision for our movements. Join us via webinar to get prepared for your lobby visit to Governor’s Wolf office. He needs to hear from constituents that 2018 is the year he issues an Emergency Removal Order to ensure no new families are brought to the Berks County Detention Center. This training will review the history of the center, how to lobby and the research that proves that the state of Pennsylvania can in fact issue an Emergency Removal Order. Please register today! Join activists from around the state who are working to stop all anti-immigrant legislation in PA and to pass pro-immigrant policies at the municipal and state levels. Every call we will have an in-depth presentation on a different topic or campaign. This week Carrie Carranza, Immigration Legal Counselor with Church World Service-Lancaster, will present on the detention process broadly and discuss the existing legal options for detained immigrants. She will also discuss the Lancaster Neighbor Fund, a community fund established to support detained immigrants pay for their exorbitant bonds and other legal fees. Registration is required to receive the video link and call-in information. What? Qué? Get screened for family petition eligibility by immigration attorneys, accredited representatives and trained volunteers. Evaluaciones legales para peticiones familiares realizadas por abogados de inmigración, representantes acreditados y voluntarios capacitados. Eligibility/ Eligibilidad: Applicant must be US citizen or Lawful Permanent Resident. El aplicante tiene que ser cuidadano americano o residente permanente. Please RSVP by calling (215) 634-7245/ Por favor haga una cita llamando al (215) 634-7245. 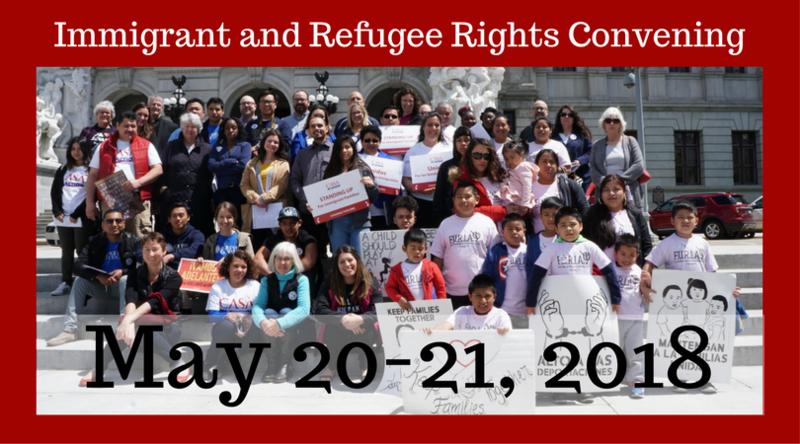 Join us May 20-21, 2018 for the third annual Statewide Immigrant and Refugee Rights Convening! Register Today! Read more about the program, workshops, and speakers. On Thursday, April 19, PICC hosted a in person training in Pittsburgh to educate immigrant and ally parents about their rights in the schools, to address concerns about ICE and how local school districts can support immigrant families. The training gave tools to the parents on how to talk about their needs, what problems students face in schools, and how the district can support them. The exercise followed with a role play with immigrant parents and school board members..
PICC was invited once again to speak during the Greater Reading Immigration Project annual immigration summit on April 23, 2018. This year's event futured a business and immigrant stories panels, education, advocacy, Shutting down the Berks Detention Center and Youth break out groups. PICC's Executive Director provided a policy update and the effect those changes and increased enforcement have had on immigrant, refugees, and Muslim communities. PICC's Deputy Director, Maria Sotomayor was part of the immigration stories panel and education break out group where she talked about PICC's Welcoming Schools and Higher Education. She encouraged the school board members and educators in the room to use PICC's Welcoming Schools Campaing and toolkit to pass Welcoming Schools resolutions in support of immigrant families. 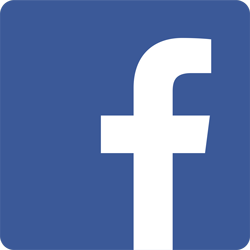 As a result the Reading Area School District announced that same week the introduction of a resolution for the district on May 16. Please visit our website to obtain a copy of PICC's Welcoming Schools toolkit or contact Maria Sotomayor at mariasotomayor@paimmigrant.org or 215-832-3482. PICC continues to educate institutions of higher education administration, faculty and students on how to support immigrant students on campus. Last week, Maria spoke to a class of 20+ students at La Salle University about the current immigration climate, DACA, and how students and schools can become allies. The conversation open the door to many ideas and steps to move forward and become a more welcoming and supportive university. If you would like to learn more on how to support immigrant students in higher education please contact Maria Sotomayor at mariasotomayor@paimmigrant.org or 215-832-3482. Fill out our Speaker Request Form if you would like someone to present at your college or university. PICC depends upon your support. Please donate to PICC today to support our advocacy and organizing work to mobilize the immigrant vote, build immigrant leaders, campaign for pro-immigrant policies at the local, state and federal levels, and support the effective implementation of pro-immigrant public policies.